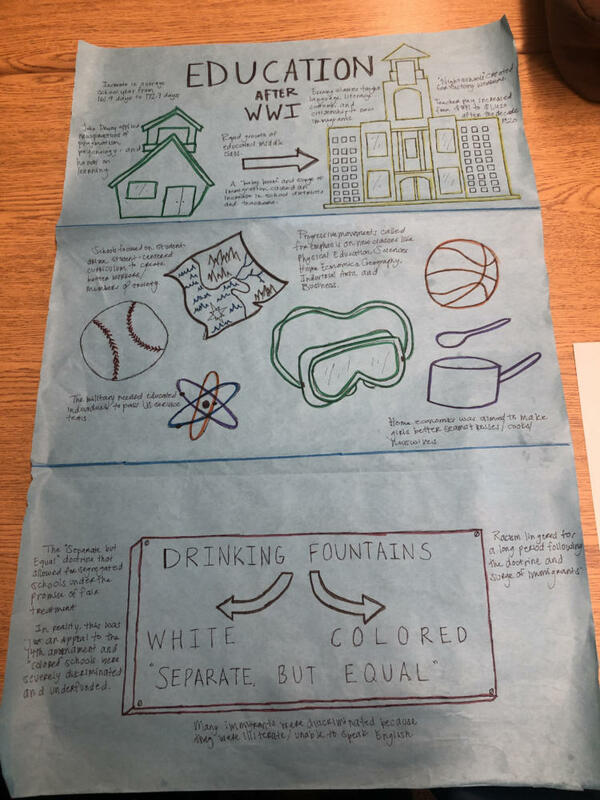 Implementing a new and different way of learning to understand the effects of World War I on America, US History teacher Jessica Kelly started a project for her classes to create posters that visually presented post-war events. 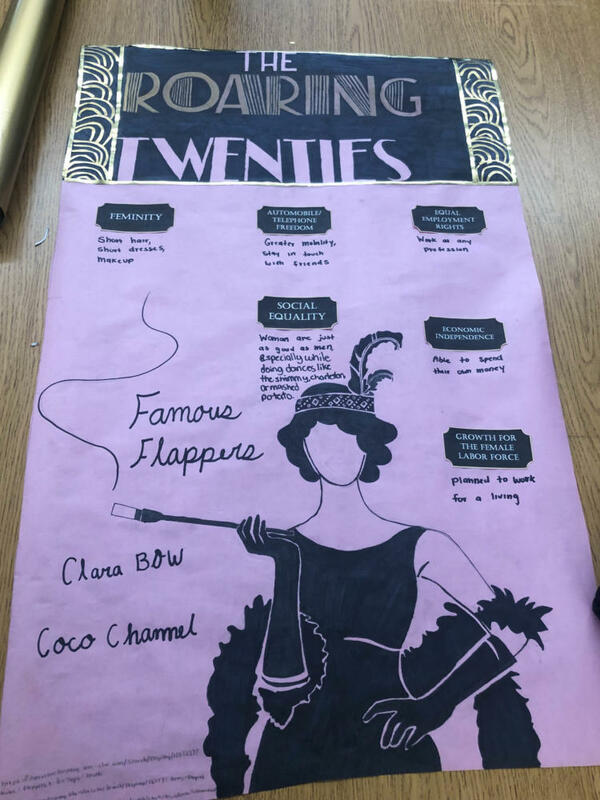 Students were required to choose and research an event that occured in the 1920s in small groups. 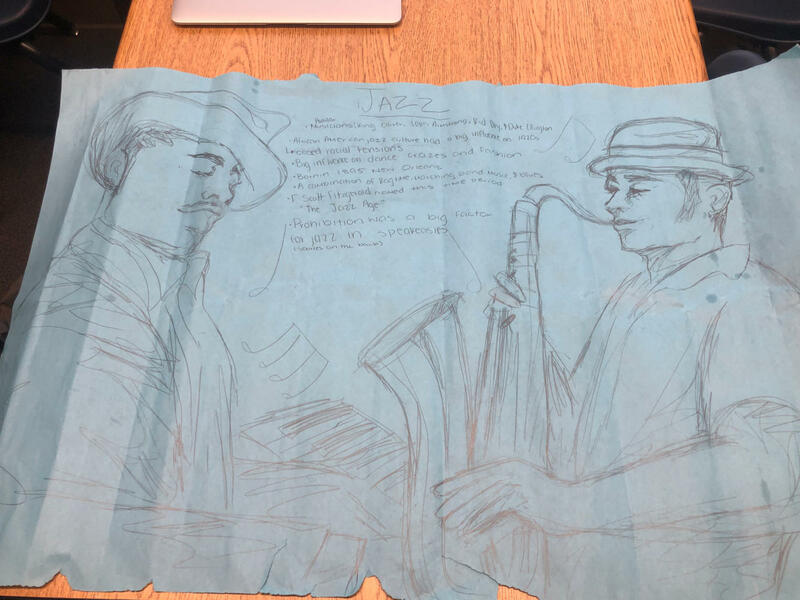 Some of the options included art, education, media, jazz and other leisure activities. 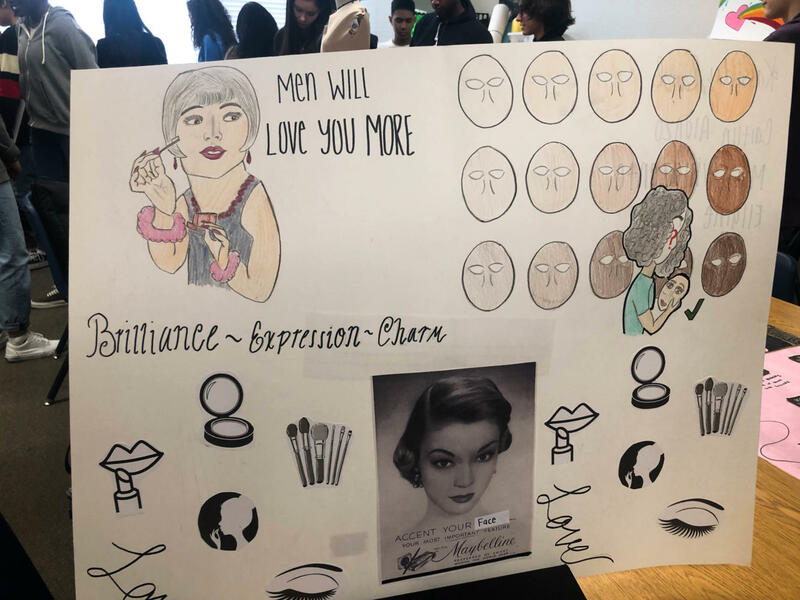 After finishing their posters, the students participated in a gallery walk. Instead of listening to a lecture, they took notes on the projects. 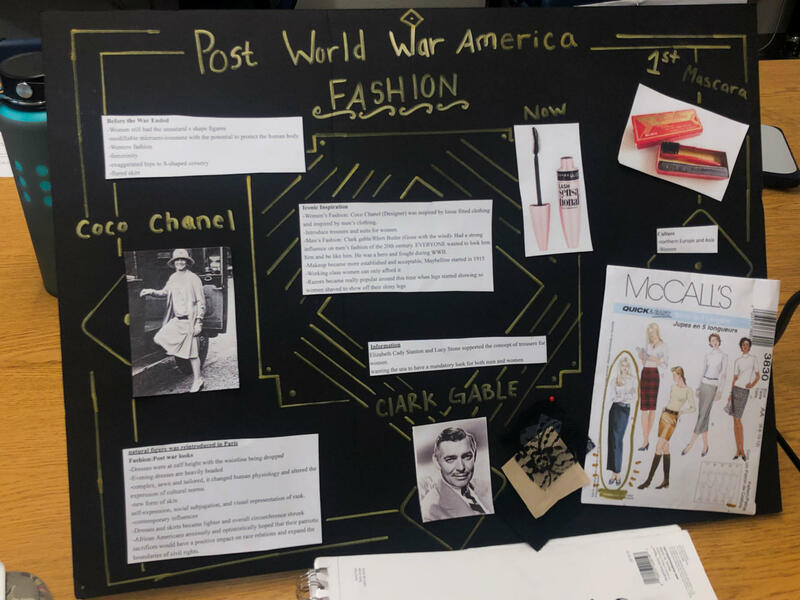 Kelly hopes that this project increased students’ knowledge over the effects of World War I. Do you think a gallery walk is more beneficial to learn from rather than a lecture? Yes, I am more of a visual learner. No, I am a auditory learner.